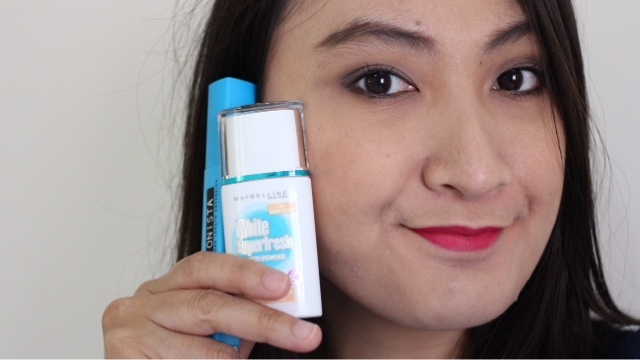 A life in a webbis: BOTD : Maybelline New Makeup Range! Dear friends! It's been so long since my last BOTD post. I would like to introduce you to the latest Maybelline makeup range, all tested and are ready to be reviewed! All of these products were sent to me for a test and review and i will give my 100% honest review in this entry. 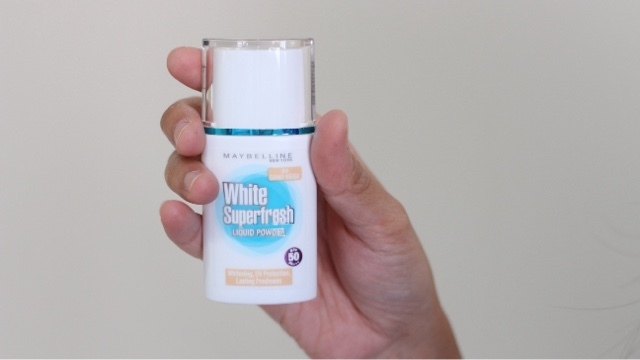 Lets start with this White Superfresh Liquid Powder foundation. I was very skeptical when it comes to a drug store foundation cause my face nowadays can only stand high end foundations. Not to be fussy or rude but i just cant wear drugstore foundation now. It breaks me out like hell (i tried one drug store foundation before this) therefore i stopped using any drug store foundation. But when it comes to this liquid powder foundation, i find it to be okay for me. It does breaks me out but very minimal. The coverage is buildable although with just one layer, you can get a medium coverage. It has SPF 50 PA+++ which makes it a bonus as you do not need to apply any sun block prior to your makeup application. The foundation is VERY runny but once applied it'll turn into powder instantly. It feels a little bit sticky once applied but the stickiness will go away few seconds after that. The best way to apply this foundation is by using a damp beauty blender and just using a dab motion to apply the foundation. Lets step forward to this lip product. This is LIPgradation by colorsensational. I belive it is a very popular trend nowadays to have a gradation lips. Like Korean girls. 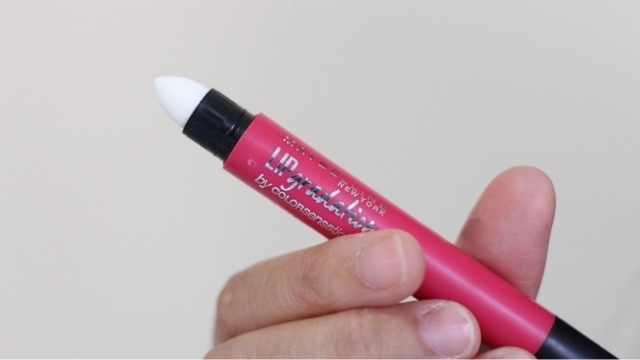 It has an eraser type at the end of the lip pencil for erasing the remaining lipsticks to make it look gradient. I dont really fancy a gradient lips therefore i dont really use the eraser part. I like my lips to br fully colored. Haha. 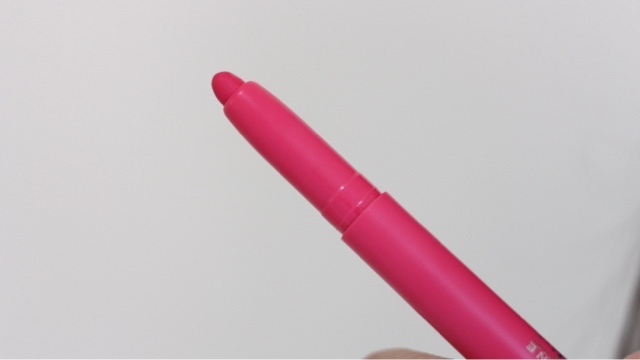 It is a twisted pen like lip product. You twist the end of the pencil to reveal the lipstick. What i really ❤ about this product is the shape of the lipstick. It is not just an. Ordinary rounded shape. The end of the product is quite tapered, makes it easier for girls with small lips like moi to apply the product. This product is very very very pigmented and it lasted up to 6 hours long! Of course it'll fade once you eat something oily and it'll leave the ring of lipsticks on your lips (which i hate the most) but the lasting power is superb! 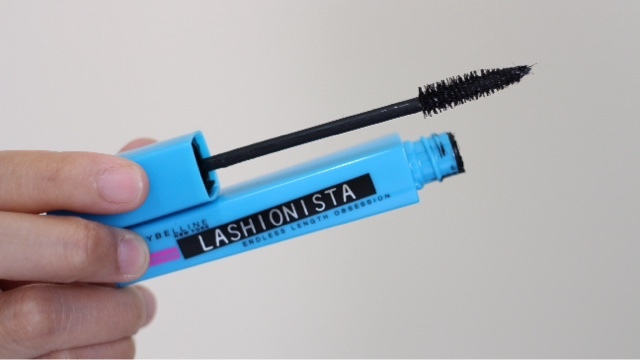 The last product that was send to me is this Lashionista Endless Length Obsession mascara. 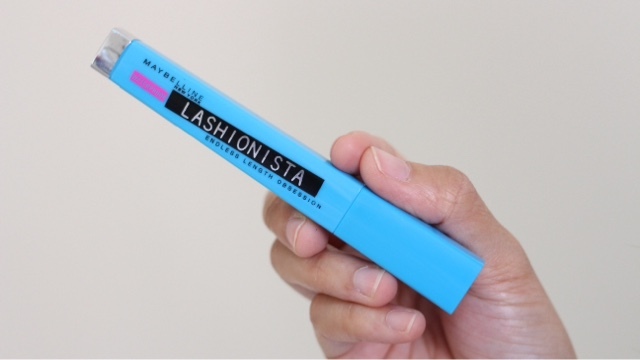 It is a waterproof mascara but very easy to remove using a makeup remover. 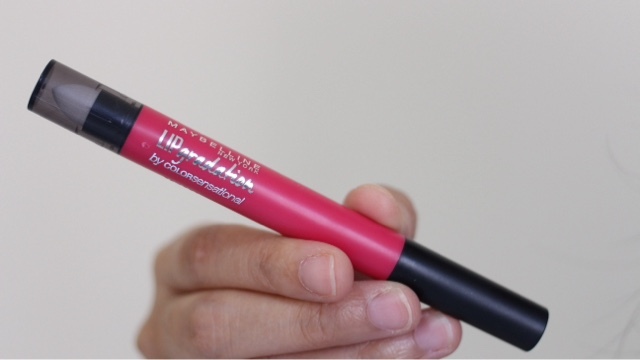 The wand is quite bend with a brush stiples and i love mascara with a brush wand like this. The only thing i do not fancy of this mascara is that, the mascara itself is like a fiber-ish type. My eyes are not friendly with any fiber mascara therefore i cant wear this mascara on my top lashes. I still can apply it on my bottom lashes and it looks fine. Well, fiber mascara is my worst enemy. It the fibers always ended up to be inside my eye instead of on the lashes. Poor me. Well, this is my face with all of the makeup products inside this entry on. Yes, i have the mascara on top and low lashes just for the sake of this picture. The foundation is a little bit brighter for me but i like the feeling of it on my face. You can visit any maybelline counter to get all of these today. The foundation retails at RM29.90 (if i am not mistaken).